Training doesn't end when a recruit passes the minimum skills test. 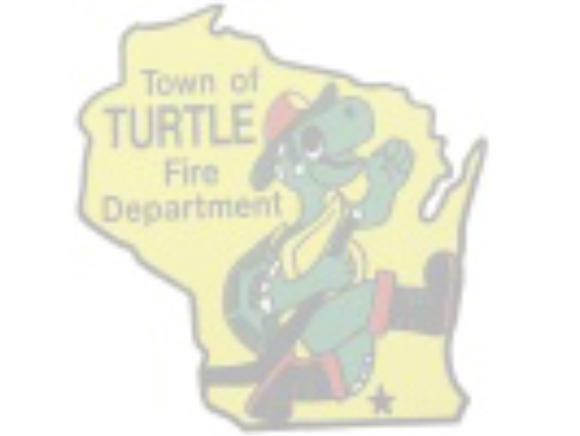 Every member of the Turtle Fire Department is expected to attend training at least once each month. The drill held on the first Tuesday of the month is attended by all available members. This drill provides an ideal time to bring in guest speakers, discuss changes in department policies, guidelines and practices, and generally inform the membership of "what's new". The other drill required of all members who didn't attend the Tuesday drill takes place the following Sunday. Any member who operates any department vehicle is required to attend driver training. This includes an obstacle course and a practical "on road" exam. 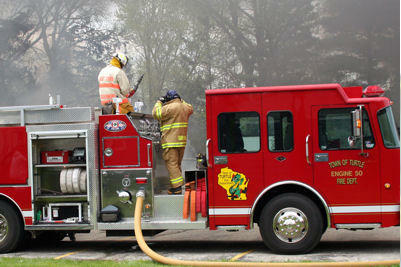 Anyone who wishes to drive one of our engines must first attend and pass an MPO certification class. Department officers and any firefighter who acts in the role of an apparatus officer is expected to have at least one hour of practical run time on each apparatus he or she is certified on. Any interested member is also welcome and encouraged to start driver training.